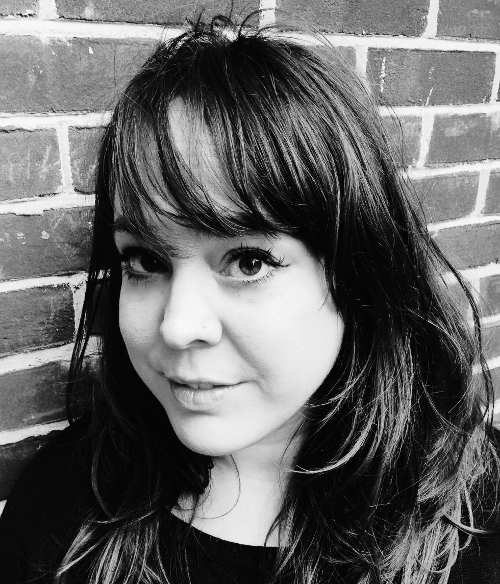 Emily Pulfer-Terino is a poet and writer whose work has appeared in Tupelo Quarterly, Hunger Mountain, The Collagist, The Southeast Review, Poetry Northwest, Stone Canoe, The Louisville Review, Juked, and other journals and anthologies. Her poetry chapbook, Stays The Heart, is published by Finishing Line Press. She has been a Tennessee Williams Poetry Scholar at the Sewanee Writer’s Conference and has been granted a fellowship for creative non-fiction at the Vermont Studio Center. She holds an MFA in creative writing from Syracuse University, and she lives in Western Massachusetts. Where is it now, the dress my mother asks to be buried in? that she didn’t eat at forty years ago, then once to the theater. crouched, lumbering though the attic, sweat spangles her brow. before she snapped last time: brittle, pretty and abysmal. Her body was a sleeve she shrunk from once, now swells beyond. No doubt the dress won’t fit her anymore. in glowing dust, still has decades left to look for it. I should drape it, graphic and flat as a flag, over her closed coffin. I can almost smell the fabric, stiff with must and Shalimar. envelop the dress, then eat it thread by thread. remind it’s ache I love. a pink mule dangles from her ankle. What isn’t a world? A garden? I was born with and can’t answer. for minutes before waking her. How many afternoons like this. why what I love troubles me. or a helicopter chortles overhead. of hers as it were the only world. My friend said I was good at it. chastened in the dormer’s origami. my foot prints shine on oak. of lace and beads of stamen. they dissolved at my most careful touch.